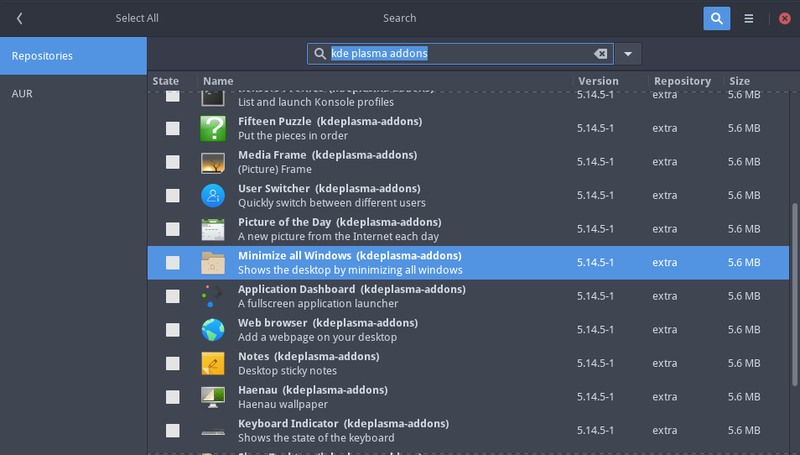 So, i finally managed to install Antergos, and chose KDE as my default desktop, as I’m a KDE fan … first thing i notice is, there is no Show Desktop widget which i had by default on Manjaro, then i open the add widgets menu, search for it and can’t find it … i start searching for it on google, and located in Kubuntu forums that it’s in the plasma-widgets-addons package … but that package doesn’t exist on Antergos … so … how do i the show desktop widget/applet? 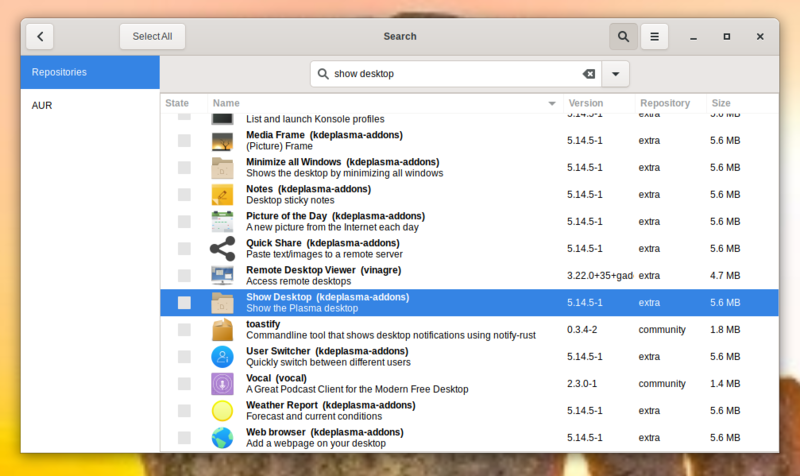 kde has also a own widget store, ? kdeplasma-addons should have Show Desktop. @manuel thats the package which I’m looking for, but it’s not in my repositories, maybe i have some mirrors missing? when i installed Antergos i allowed the installer to manage my repositories list … should i add some? It is the extra repository. Check your /etc/pacman.conf that it has extra enabled. You could also show your /etc/pacman.d/mirrorlist contents, but I guess it has nothing to do with that package being not available.